Ubisoft's Splinter Cell: Conviction lived two very public lives. 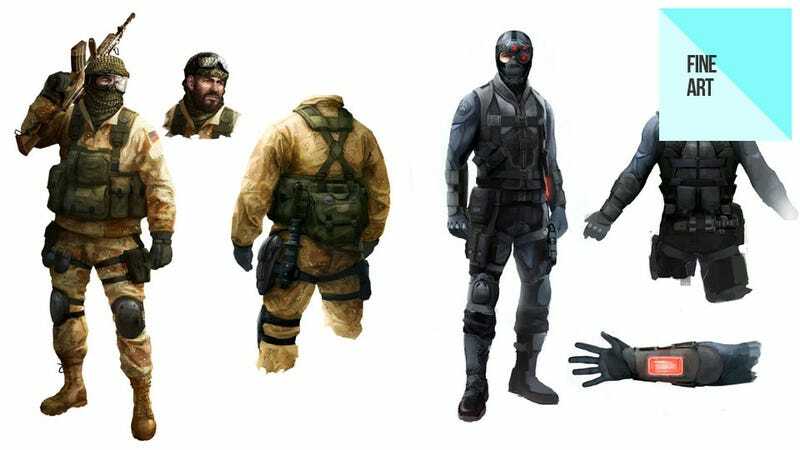 The first had Sam Fisher looking like the sexiest homeless man on the planet. That version was binned. The second version, the one that was actually released, was more "traditional". This art, from Ubisoft's Bruno Gauthier Leblanc, is of this second Sam Fisher. And loads of the people he either helps or shoots along his travels. Leblanc spent ten months working on the project, during which time he did mostly character art, though you'll see a few objects and installations sprinkled through the gallery as well. To see more of Bruno's work, head to his personal site. To see the larger pics in all their glory (or so you can save them as wallpaper), right-click on the "expand" icon on the main image above and select "open in new tab".